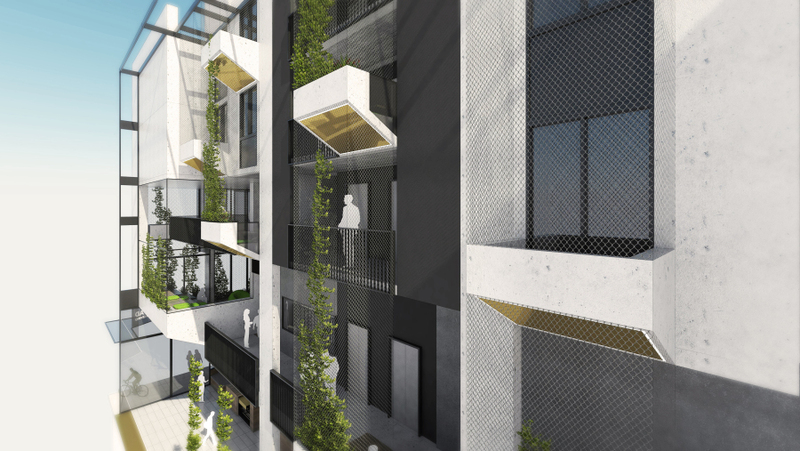 Prefabrication design is leading the next generation of efficient high rise construction. This significant shift is being made possible due to a larger industry move towards prefabricating by design; where buildings showcase a construction system that’s built to reflect the design, rather than use a prescribed prefabrication system. The subtle result is that prefabrication becomes the tool, rather than the driver, which formed my key message at the prefabAUS annual conference in Sydney last year. It’s also driving a move towards newer systems based on skeletal and high rise solutions, with new and broader considerations on overall programme time, night working and an on-site volumetric framework for finishing trades. Photograph by Craig Moodie. Image supplied by Hickory. 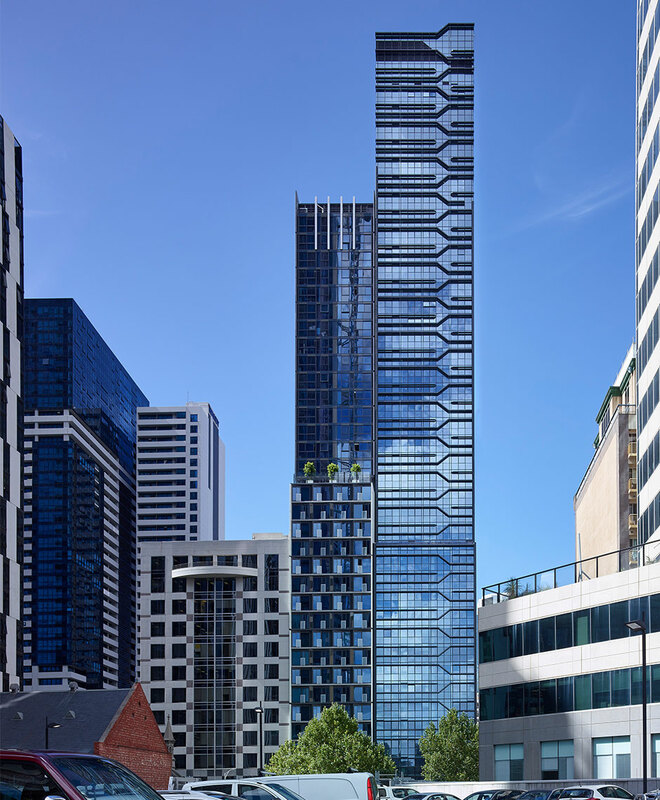 These considerations were also employed in our recently completed La Trobe Tower, in Melbourne’s CBD, illustrating that prefabricating by design can provide a stronger result than traditional construction. At 133m high, the 44-level building features Hickory Group’s new HBS prefabrication delivery model. By following a different path from previous systems, with a new agenda and a new approach to prefabrication, this building was successfully delivered nine months quicker, reducing the total build time to 19 months. 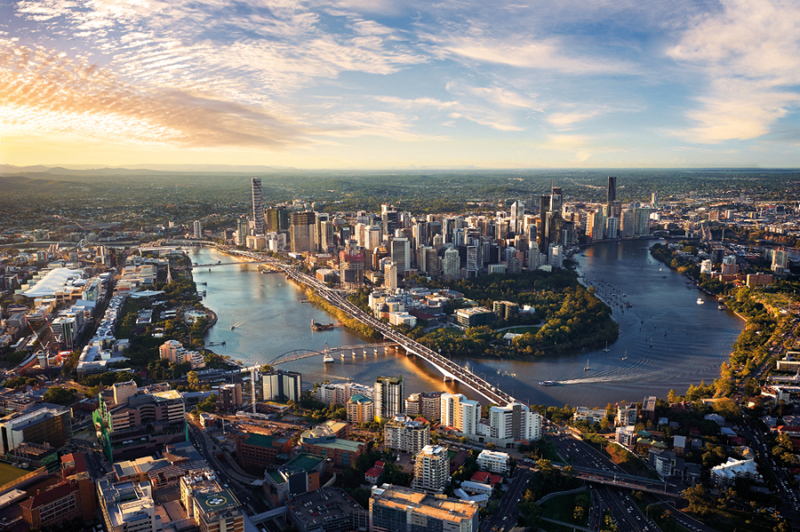 For the client, the expedited construction enabled settlement of apartments nine months earlier than expected. There was no compromise on the design and no need for the client to realign their expectations at any point during the process, with the implication that prefabrication can deliver a wider scope of projects, such as high rise, more quickly than ever before. 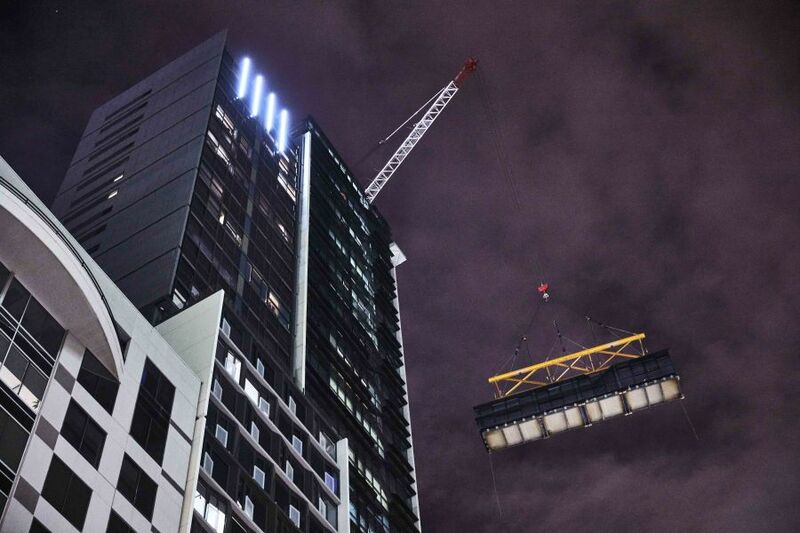 Today, La Trobe Tower has the prestigious title of Australia’s tallest prefabricated building. A strong example of the shift toward prefabricating by design at La Trobe Tower was the approach to floor heights. The older systems required a 3.2m floor height, but this was adapted in the HBS model, which reduced each floor level to 3m, aligned with ‘traditional’ construction. Further efficiencies in high rise construction were also demonstrated. In a standard system, each floor’s concrete sections can take days or weeks to dry out and cure, adding time and cost to the overall build. Using the HBS system, the core and lower three floors were constructed using traditional methods, with in-situ concrete and in ground works, while the prefabricated modular elements, including external facades, steel frames, walls and concrete floor were already in place and followed a logical construction in manageable sized segments. Once each completed floor was in place, bathroom pods were installed before the next storey was installed, with internal walls and kitchens constructed in-situ. The entire front and rear of the building was one single element on each floor, which eliminated the typical boxy composition, and allowed for a creative façade expression. The overall site was a safer working environment, as the walls were already installed, enabling electrical and internal works to be carried out sooner without safety barriers. Today, it’s becoming harder to differentiate between a conventional or a prefabricated construction. While, arguably, every form of construction contains some element of prefabrication, there are plenty of products that are pushing the boundaries. Another example is CLT, cross laminated timber, which is helping to permit fast and efficient construction. Used mainly for walls, ceilings and roofs, CLT reduces many of the weaknesses of previous timber products adding greater fire resistance, noise and heat insulation. We believe the benefits of prefabrication will become more commonplace as it gains traction in the marketplace. With full stakeholder and team consent, the sky’s the limit and the client is the ultimate beneficiary.